The more you create handmade items--whether they be gifts or just things for your own family to enjoy--the more you'll want to make your creations look polished and professional. One quick, simple, and cheap way to do this is by making your own tags. Handmade tags can be as simple as adding a small piece of folded bias tape or knit fabric before sewing a seam or as elaborate as professionally made stamps and ink pads. Today I'm going to show you a bit more homely way that I've been making some handmade labels lately. 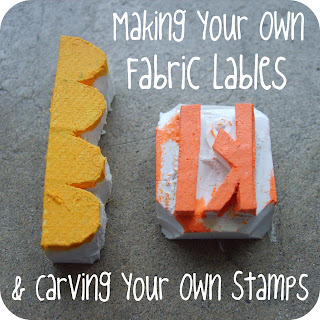 Please note that this tutorial will show you how to carve your own stamps, use your stamps to print labels, and how to turn those prints into a finished tag. So if you're only interested in the "how to turn my print into a tag" part, you may want to skip down to the end. To carve my stamps, I bought this very basic X-Acto knife (it was cheaper than the generic brand), and this piece of artist carving block. I've read a handful of tutorials on carving your own stamps (I especially recommend reading this tutorial from The Storque) and seen a variety of materials used for carving into. The three most common materials I've seen are corks, erasers, and linoleum. I wanted my stamps to be a step up from corks and erasers, but didn't want to pay for linoleum, so I took one step down and went for the artist carving block. This also proved to be a great decision because the artist carving block requires a lot less tools to work with it. Where linoleum requires a whole set of carving tools, all I need to cut my little artist's block is this cheap-o X-Acto knife. Excellent. For those who may be interested, I bought my X-Acto knife and my carving block in the art supplies section of the bookstore on campus at the university my husband is attending. One block cost $3.75. Not bad compared to the $20 you could spend on a professionally-made stamp. Begin by drawing what you'd like to have on your stamp. Be sure to draw the shape with a pencil. Otherwise the next step may not work. Trace over your drawing a couple of times with your pencil to make sure there's plenty of pencil for the stamp to pick up. Press your drawing directly onto your carving block. Ta-da! You will have an exact mirror image of your drawing. *Note: If you are making a stamp with letters or numbers, just write your letters or numbers facing the right direction on your piece of paper. When you transfer your image onto the carving block it will be the mirror image. Then when you use your stamp the words or numbers will again read the right direction. So you never have to write anything backwards or upside down! Easy! Next, using your X-Acto knife, cut a rectangle around your image. Now comes the trickier part. Using your X-Acto knife, carefully begin to cut away chunks of carving block, leaving your image as a raised stamp. 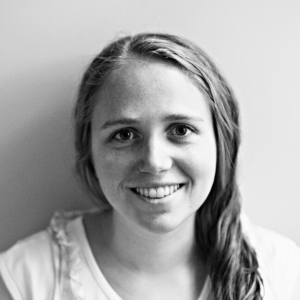 First, make a vertical cut (or cuts, as the case may be), along the line of your image. Second, make a horizontal cut into the excess carving block, going in only as far as your vertical cut. You may need to make smaller cuts around curved edges, but be able to make larger cuts along straight edges. If you're feeling nervous about it, try carving a simple shape with straight lines first like a triangle or square. Then, once you feel a little more comfortable, move on to shapes with rounded edges. It's really not hard to do, but it can be a little intimidating at first. Continue doing this until you've carved away the excess block around your entire image. Then, I like to carve just a little bit deeper around the entire image. This is fast and easy to do since you don't have to be quite as precise now that you're not working right next to your image. Also, it will save you from the frustration of having little bits of your background accidentally show up. By cutting deeper into your excess it ensures that your image is all that will show when you use your stamp. And when you're working with permanent fabric paint getting things done right the first time is important. Now your stamp is ready to be used! I honestly couldn't tell you if this particular brand is better or worse than any other brand. I've had these sitting around in my stash since I was a single college kid making t-shirts with my roommates, so this is all I've ever used. But they work great! I've used them for painting directly onto t-shirts as well as for making these fabric tags and these paints have held up well for both. Now, let's put these paints to good use. You don't want to put your stamp directly into a glob of paint because all the excess paint is likely to make a nice big blob on your fabric instead of the pretty little image you just carved into your stamp. So, in order to avoid the blobbiness, we'll make our own stamp pads. I learned how to do this in this tutorial from Handmade Therapy. Find one plastic lid for each color of fabric paint you're going to use. Cut a scrap of felt (use an ugly color because you're just going to throw it away later) to fit inside the lid. With the underside of your lid facing up, squeeze a nice little glob of paint onto each lid. Cover each glob of paint with a felt scrap. Using your finger, lightly dab the felt into the paint until the paint just barely starts to show through the felt. Now your stamp pads are ready. Press your stamp into the felt ink pad a couple of times. You may not have very much paint show up at first. Continue to press your stamp into the felt until the stamp is evenly coated with paint. Press your stamp onto your fabric. And, viola! Your very own printed label! Well, sort of. It's not quite there yet, but it's getting closer! Here are some stamps I carved when I was first trying this out. From left to right they are, a wooden spoon, a scalloped edge, kl (my initials), and a heart. Some of these stamps don't have very deep bases to hold onto. Such as the two in the middle. Which happen to be the two I use the most. Grrr. I don't recommend doing this as you're likely to get fabric paint on your fingers and then be tempted to wipe the paint on your pants and then realize just in time that you better not do that because you're using fabric paint and it won't wash out. So keep your life simple and keep your stamp bases big enough to hold on to easily. Starting a little ways away from the edge (you'll need to leave enough room to fold your raw edges under), stamp your image(s). Continue stamping your images, leaving a good inch or two in between each image. You don't need a lot of extra fabric to fold under, but it'd be sad to have to scrap a label because you didn't leave enough extra room, so I say it's better to leave a little too much room and have to cut off some excess than have your images too close together. The amount of paint you get on your stamp will make a difference in the finished appearance. In the image on the left I didn't get quite as much paint on the stamp as I thought I had. In the image on the right the stamps were evenly coated with paint. I like the look in both, but it's important to pay attention to the amount of paint on your stamp so you can come out with the look you want. If you end up with an image like the one on the left (above) and you'd like to fix it to look more like the one on the right, just re-ink your stamp and carefully stamp over your original image. I had to do this a few times while I was making labels today and it looked just fine each time. Here are a few more stamp/image pictures to give you an idea of different combinations. Umm... and maybe just because they're pretty too. Love that little sideways heart. 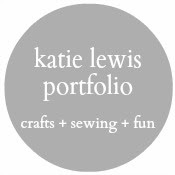 I bounce back and forth between using the scalloped edge with my initials and using the image above as my "logo" for labels. I like both. Here's my finished stamping mess. It's really not much of a mess at all, though. I did end up saving my plastic lids this time. Only because the big O hardly eats any baby food anymore and I might not have as many of these laying around pretty soon. To clean your stamps (and lids), just run some cold water and rinse them out by gently rubbing your finger over the areas that still have paint. When washing your stamps, make sure to get all the paint off, especially on the top of your image. In the picture above I'm pointing to the spot (the head of the birdie) that still has paint on it. You can see that all the paint is gone in the middle of the birdie. If you leave paint on your stamp it may peel off and make your images come out funny next time you use your stamp. Which would be no fun. So take a minute to gently rub down those stamps properly. Here's another example of how your stamps should/should not look when you're finished cleaning. The heart stamp on the left is stained a little bit yellow from the paint. The stain is totally fine. What you don't want is actual paint still stuck on your stamp, like on stamp on the left (on the birdie's head and tail). Yay! Clean stamps and lids! Now they're all ready for next time. First, cut your printed images apart, leaving plenty of extra fabric around each image. Just so you can get an idea of how much extra fabric you'll need, here's a point of reference for you. The label in the picture above had too much extra fabric. I ended up having to cut a lot of it off. Our little birdie label, on the other hand, had just the right amount of extra fabric on the top, but not quite enough on the bottom. The sides also had too much and I ended up having to cut some off. Once you work at it and make a few you'll get a feel for how much extra fabric you want around the edges, but I typically like to start with a little too much (probably 1/2" to 3/8" and cut down the extra after I've made and ironed my folds. Okay, so back to our birdie tag. Using steam and brute force, iron that fold until it promises never to be a flat piece of fabric again. Yes, it's okay to iron on top of the fabric paint. This is what it should now look like from the back. Next, carefully fold in the corners on each end. Iron and steam the folds in place. Now, with the corners already folded in, fold over the remaining edges on your tag. Again, do this by looking at the front of your label so your lines are straight. The back should now look like this. And you're done ironing and touching a very hot little piece of fabric with your fingers! Yay! Ta-da! This is what our little birdie label now looks like from the front. Straight lines on our folds. No more raw edges. Ready to be sewn onto a sweet little something. I was a little busy (ahem, writing this epic tutorial for all of you) today, so I haven't had a chance to sew the birdie label into anything, but here are a few pictures of some other labels I've made and sewn on to finished projects. And I'll give you a little run down on how to attach that label nicely. First up, my not-so-favorite way to sew on a label, but a great option for covering up a little mistake. I sewed this label on with my machine, stitching less than an 1/8" away from the edge. Now that isn't the mess-up part. That's how I usually do it. But as I was sewing around the edge something got funky and I had one obnoxious little loop of thread right at the top of my label. Dumb. So, when I got back to where I started I just kept on going and sewed all the way around the label a second time. Now this isn't my favorite way to sew on labels because it's easy to make things look nice once, but to stitch over the exact same lines a second time when you don't have a guide can get to be a little tricky. Hence the slightly uneven lines in some places. But this was on something for a little kid who won't care anyway, so no big deal. -Pin the label on using two pins, one going up and down and the other going side to side. This is really just to hold the label in place while you get started. You shouldn't need to pin down each edge of your label since you told those folds who was boss by pressing them with steam and brute force. -Begin sewing on one of the bottom corners of the label. -Making sure to backstitch as you begin and end, edgestitch (in other words, sew less than 1/8" away from the edge of your label) all the way around your label. This will give you a polished look that will stand the test of time. I wish you all the best of luck in creating your own labels! It's a fun way to add your signature to a handmade piece of work. I hope this tutorial has helped you feel more capable to do just that. Although, really, the hardest part is coming up with a design in the first place, right? Please feel free to leave any questions you might have in the comments and I'll try to get to them as quickly as I can. Thanks! So THAT's how you did it. Looks easy-peasy with all your pictures. (Here I thought maybe you used a potato. :) Guess I'll have to look for those supplies so I can make nifty grandma tags on things I make the kiddos. Thanks, Katie! This is an excellent tutorial..I'm definetly going to try...I was thinking about making handstamped visiting cards this way! Great idea. I totally should make some labels for all the clothes I make for my kiddos. Ditto to all the comments above. Love this. You are so clever. Fantastic tutorial, thanks for sharing! I'm definitely going to have to give this a try since the embroidered tag I usually do just doesn't work great on some smaller items, and I have a bad habit of forgetting to include it before I sew something up. I think my favorite of the ones you showed was the one w/ your initial & the little sideways heart. So sweet! cool tutorial! thanks for the the tips-I want to try this! I looooove this. I was just getting ready to purchse some labels..hello $$$! I will try this for a while and see how I like it! Thanks...very creative. What a GREAT tutorial! I have three etsy shops and I know that I need to start putting tags on my items, but I didn't know how to make them and didn't want to pay to have someone else make them. This tutorial is very helpful! i'm so glad i found out you have a post on how to do this! i love your kl tags with the hearts - i always wondered how you made them! i'm definitely going to try this sometime! This was a nice article, very well photographed and explained. My only suggestion is trying out a set of speedball V shaped lino cutters next time. You have so much more control over the stamp design, and it's a pretty cheap piece of kit. I've pin this with the proper credit and link do people can come here to see this amazing tutorial! Is just the way I like it. New ideas, solutions and lots and lots of details. Good job!